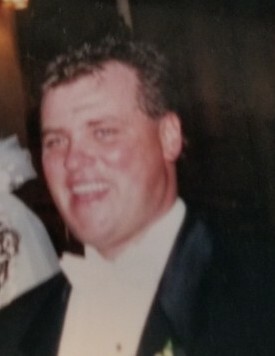 Obituary for Mark J. Karas | Joseph W. Nickels Funeral Home, Inc.
Mark J. Karas, 54, of Herminie, passed away Tuesday, Dec. 4, 2018, in UPMC East, Monroeville. He was born June 28, 1964, in Pittsburgh, son of the late Joseph Karas Sr. and Maggie Karas, of Finleyville and Bonnie (Richard) Brunner, of Castle Shannon. Prior to his illness, Mark was a baker, having worked for Potomac Bakery in Dormont. Along with being an excellent baker, he was a great cook, enjoyed watching the Steelers and playing with his dogs, Scooter and Buster. He was a member of St. Edward Church in Herminie. Mark is survived by his loving wife of 23 years, Nikki (Yezereski) Karas; his daughter, Brianna Karas and her boyfriend, Kiefer Dzurilla, of Rillton; stepdaughter, Summer Sedley, at home; a brother, Joseph Karas Jr., of Ohio; three sisters, Jodie Karas and Michelle Karas, both of Pittsburgh, and Amy (Dr. Gregory) Habib, of Greensburg; and several nieces and nephews. Mark will be dearly missed by his family, friends, neighbors and his dogs. There will be no public visitation per Mark's wishes. JOSEPH W. NICKELS FUNERAL HOME INC., Herminie, 724-446-7251 is in charge of arrangements. Please make donations to the family, C/O Tracy Gadagno, 117 Station St., Herminie, PA 15637. To send online condolences, please visit www.nickelsfuneralhomeinc.com.